The Chisholm Sports Arena is located at 600 1st St. NW in the heart of northern MN iron range, and lies alongside the Iron Range History Center, within the Chisholm Recreation Center. Built in 1972 with one sheet of ice measuring at 195' x 85', and seating for 1250 spectators, it is the home rink to the Chisholm Bluestreaks Youth Hockey Association, and is one of the rinks that todays Hibbing-Chisholm cooperative Bluejackets High School teams practices within. The arena is connected by an adjacent walkway to a Works Progress Administration (WPA) 1939 built fieldhouse that is utilized as a locker-room for both the hockey, and football teams within Chisholm - that share grounds within the WPA "palace style brick walls" that surround the entire Recreation Complex as the Bluestreaks football field is directly behind the arena, and an older curling facility lies down a small hill from the rink. The arena itself has small ties to the NHL Los Angeles Kings hockey team, as the boards and dashers within the arena were purchased from L.A., and shipped to Chisholm and installed in the early 2000's to replace the older aging 1970's originals. 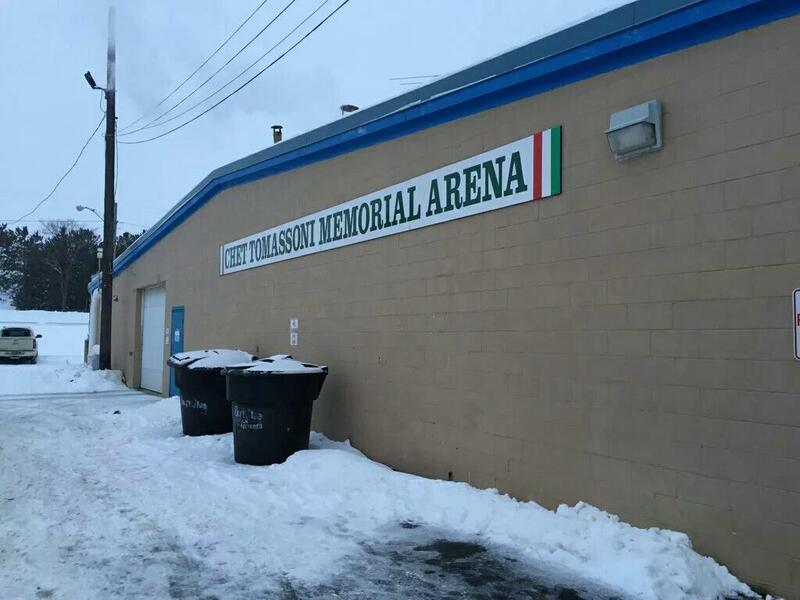 On June 8th, 2014 the 1972 erected Sports Complex Arena was renamed posthumously after one of Chisholms most famous hockey family members - Chet Tomassoni. 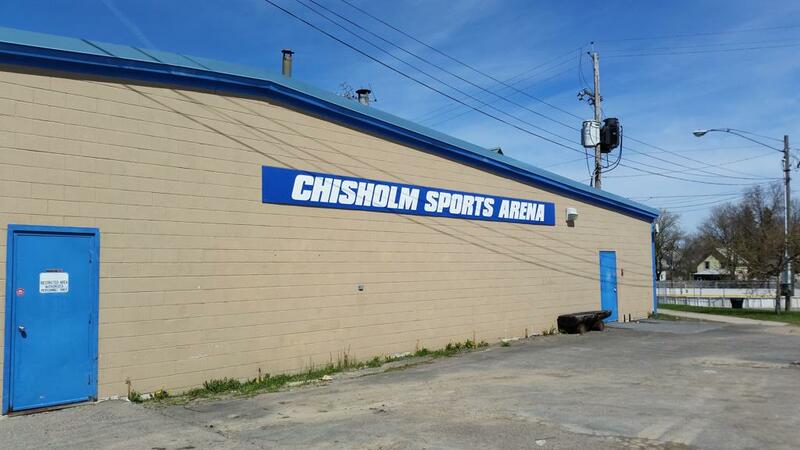 Chet was instrumental in having the arena built within Chisholm in the early 1970's in the first place, and was rightfully renamed so in his honor for giving so much to this proud range community.